Do you still remember that I recently attended the opening of the UGG Australia-store at Maasmechelen Village? Well, I was gifted a pair of UGG-boots by the friendly people from UGG Australia, Maasmechelen Village and Oona that day. I usually would never buy these shoes myself. They just do not fit my personal style. But I always was curious about their secret, since I saw so many people wear them. People in my home town, at school, celebrities on the set of their new movie / TV-show / whileshopping ... They all have 'em. I initially chose a pair of black UGGs with a zipper on the sides. You know me, I will always have the urge to turn to black. When I tried them on, the first thing I said was: "OMG, look at my feet!". UGGs tend to give your feet a ... well ... lets say 'different' shape. But I got over it and I found (and still find) them extremely warm and comfortable. Believe me, they might not be the most flattering shoes on earth - I am aware of that - but they are the most comfortable pair of shoes I own at the moment. So I wore them non-stop to go to school or to walk around the house and in my enthusiasm, I managed to break the zipper. I went back to the UGG-store at Maasmechelen Village and got to choose a new pair -- Thank you all, once again. Due to the hundreds of people invading the store on a daily basis ever since the opening, my size was almost sold out, except for a pair of classic short sangria-colored UGGs. After doubting and debating for almost an hour and my mom reminding me that I keep saying that I want to add some extra color to my closet, I decided to get them. My dad, sister and brother-in-law think they're 'UGGly', my mom thinks they're cute and my boyfriend thinks they are 'okay' (I think that he doesn't wants to hurt my feelings). How do you feel about UGGs? Share your thoughts in the comment box below... I'm so curious! Boots: UGG AUSTRALIA thanks to Maasmechelen Village & Oona. Ik vind ze eerlijk gezegd echt heel mooi! 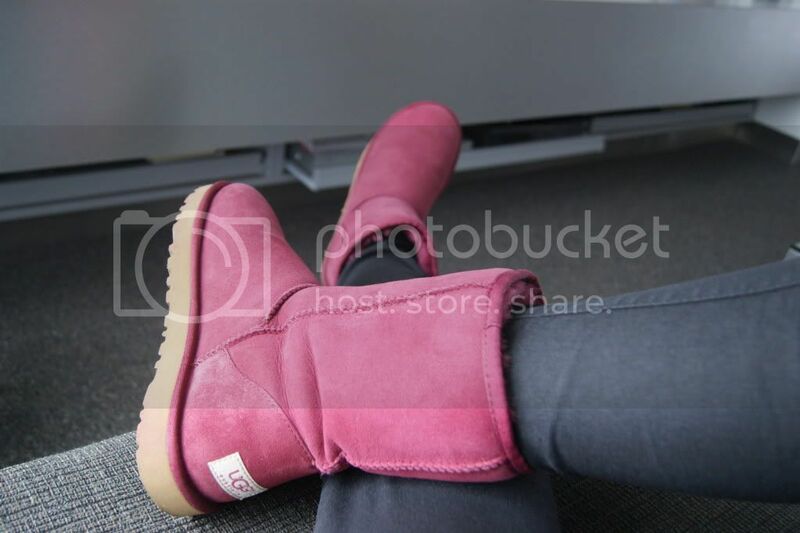 Ben niet zo een fan van Uggs aangezien ze idd soms wat lomp zijn en ze toch wel moeilijk te stylen zijn zonder er als huisslofjes uit te zien maar deze vind ik echt leuk! De kleur is super mooi en net dat maakt ze vrouwelijker en fijner! I used to not like the classic Uggs but when I saw the Bailey Buttons Uggs last year I thought differently because those I like, I think it's nice with the buttons on it, they have them with one button and several ones. I myself finally got the version with one button and I'm so happy with them, they are so comfy and warm indeed, I wear them non-stop haha. They advised me not to walk with them if there is snow though because the snow and especially the salt can damage the shoes. I think UGGs are ugly, but they're SOOO comfy. I've had three pairs, killed the first one around 4 years ago. Bought a beige one, which has been my "go to" pair for long and rainy days at uni. My mom got me a pink pair last year, I'm always scared to get it dirty, so I don't wear them too often. Allez nu, dat is precies de juiste kleur! 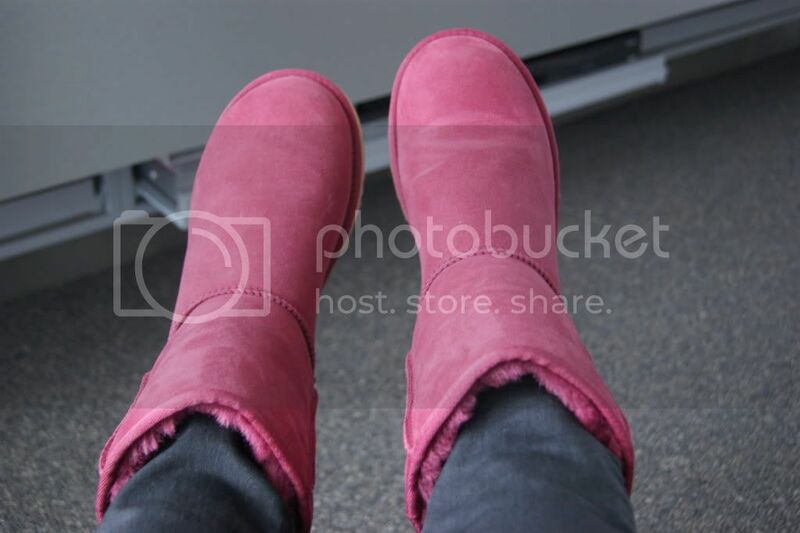 Niet te roze en girly, maar juist vrouwelijk en cool ..
ik vind de kleur heel mooi maar uggs zijn echt echt echt echt mijn stijl niet. Niet omdat ze "lelijk" zijn (de meeste superhippe schoenen zijn lelijk naar klassieke maatstaven) maar gewoon absoluut niet compatibel met mijn stijl. 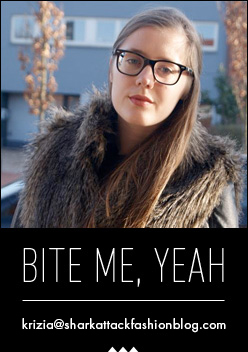 Mijn soort casual is eerder een retro, collegiate soort casual, niet euh "glam" casual, wat de meeste meisjes die uggs dragen zijn. I must admit I'm an UGG-addict! I love love love them. They're just so comfy and warm. And I think you can combine them with everything. My mum was also invited to the opening in Maasmechelen, but she went to early at 10 o'clock!! :( So no new uggies for me.. 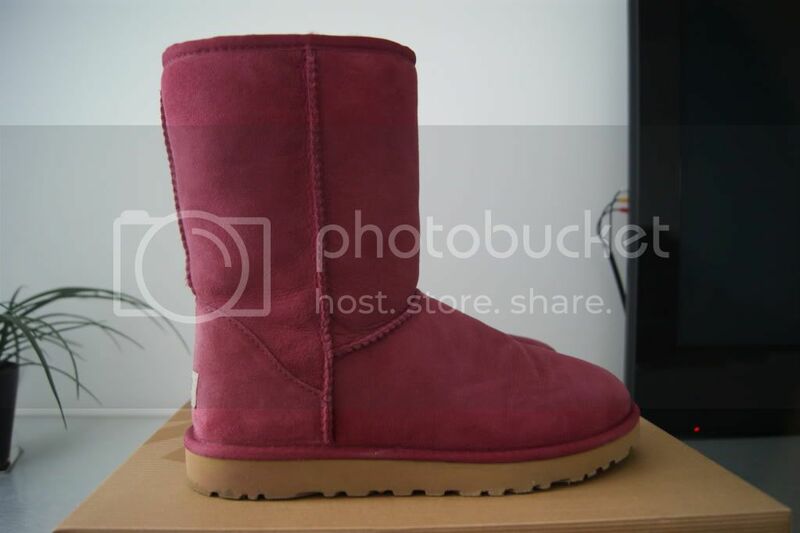 I must say I love the color, but not for UGGs. It is also not really a winter color, but more a summer color and I don't really think you would want to wear UGGs in summer, do you :p? I think they would be better in black, grey, camel or brown (neutrals). Na jouw vorige post over de opening moest ik er gewoon heen, ik draag nu al twee jaar de valse versies maar die verslijten.. Dus nu met die korting was het moment daar en sinds vandaag ben ik trotse eigenaar van mijn eigen echte paar! En ik moet je gelijk geven over het comfort ervan. Ik heb nu de lichtbruine gekocht, de blauwe en jouw kleur vond ik net iets te flashy :D Maar nu ik ze zo aanzie zijn ze wel erg leuk! I love ugg boots but would never wear them out. They are just a shoe that keeps your feet warm for home! I'm so glad you were honest about this! I've actually sworn to myself that I would never wear UGGs, but I've been to a few events sponsored by them and as soon as they hit my feet, I was OBSESSED. They're not THAT cute and they're not flattering on your feet, but they're SO COMFORTABLE!!! Lol that color is actually quite cute as well - sangria. I want to see how you look with them on! I think it all depends on whether you're really TRYING to look cute in them. Usually I think it's acceptable if you're dressed down, chilling out - sweatpants, pajama pants + hoodie with jacket. But if you try to wear it to go out or look cute, you'll look horrible.. Wish to have more Fashion ? Salsit.com leading branded fashion retailer. The place to find all the greatest brands, offers, styles and trends. Shop salsit.com up to 90% off all designer clothing and Accessories | leather jackets, skirts, hats,Gifts handbags, v-neck, shorts,Shoes ,dress, brands jeans,For Her , for him Women's Blouses,Women's T-Shirts,Women's Skirts,Women's Tank Tops & Camisoles,Totes,Women's Pants,Women's Capes & Ponchos,Women's Vests,Women's Dresses ,Women's Shoes, beach bunny Swimwear,dressess,jackets,long sleeve tops,pants jeans,sleeveless strapless tops,shorts,skirts,Original Handbags & Totes. also you can find eye catching affordable designer brands , jeffrey campbell,mea shadow,matiko,sam edelman, up to 90% for designer brands .Buy on sale 2011 trends designer clothing.New lines added daily. Buy today, wear tomorrow! Ik zou persoonlijk voor de hoge gaan, want die zijn nog een stuk warmer! Maar je moet ook wel zien welke het mooiste aan je been staat, dat is ook heel belangrijk. Maar qua comfort en vooral warmte, zou ik voor de hoge gaan! That's so nice of them! I wear my Uggs all winter long!!! weinig mannen houden van Ugg, maar we trekken het ons niet aan hé. ze zijn cute en warm ! I'm not a huge UGG fan. I believe that they look too ordinary & I hate that everyone else thinks they are so trendy. However I do like a few pair of UGGs that happen to not really look like UGGS. I guess that makes sense. thanks so much for your sweet comment! i really appreciate it! i'll always come back and visit! I am a big fan of them!! Thinking about a new pair! omg ze zijn zo gaaf! Ahhhh Ugg Boots! Such an Australian Pride. Aren't they just the most comfortable shoes in the world. It's no wonder the celebraties wear them in public.